When Sharon Griggins had this conversation with Studs Terkel over forty years ago, professional switchboard operators had already been around for nearly a century. 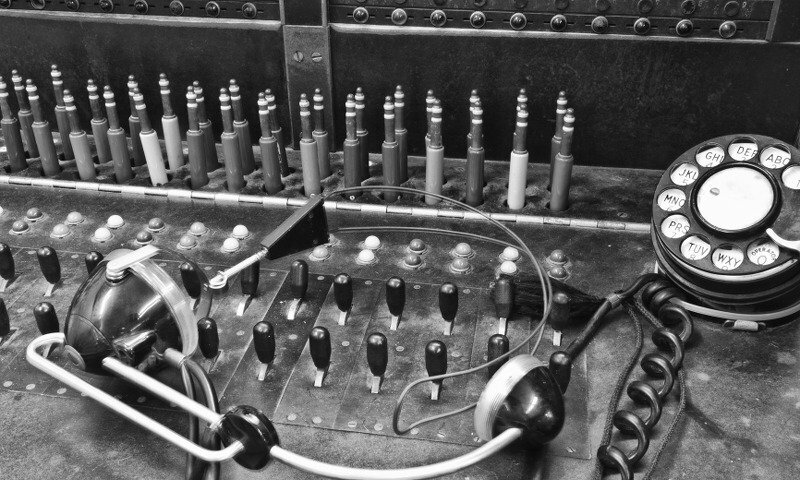 The job had changed with each advance made towards automation, and by the time this interview took place in 1972, the operator’s role had less to do with connecting every call than with providing information and specialist services. Of course, there is always some inertia in the uptake of new technology, as with the current change taking place in consumer multichannel preferences. Although direct calling was available throughout the US by the 1970s, long established habit meant that many users still relied on the operator’s help to place their calls. That meant people like Sharon, making connections manually by constantly plugging and unplugging cords from sockets, hundreds of times a day. It wasn’t until the 1980s that a more complete automation of services would lead to big reductions in the number of operators employed by the phone companies; if Sharon had stayed in the industry, she would probably have been among the many who took their skills into the burgeoning field of the private contact center. It’s interesting to hear Sharon predicting the technological developments that would replace a lot of the functions of the switchboard operator, and correctly identifying voice recognition as one of the bigger challenges. She imagines the complexity of the machine that would do her job, anticipating a kind of robot operator that would be part automatic phone exchange, and part IVR. Surprisingly, IVR actually was being developed in this period, although it wouldn’t come into its own in the mainstream until the turn of the new millennium. The ability of a computer program to recognise and respond to diverse vocalizations is an attention-grabbing advancement, but perhaps the more significant breakthrough is modern businesses’ capacity to connect millions of calls per month to the right employee. Now, not only do the vast majority of business calls get routed automatically, dynamic routing behaviours can access data on almost any source in order to make intelligent decisions. This does not only improve call routing, it enables call flows to be designed and implemented to the most exacting requirements of an enterprise. Meanwhile, deeply integrated systems allow information like interaction and purchase history to inform routing decisions in real-time. Where once callers were required to explain their needs, businesses now can draw on various data that the customers themselves might not even be aware of. Sharon made it pretty clear that she was not interested in a career as a switchboard operator, and confirmed in the 2016 follow-up that she didn’t stay in the job for too long. The reason she gave in her 1972 interview says a lot about an issue which still comes up in present-day contact centers: “You get to feel just like a machine because, essentially, you’re on this level of about seven or eight phrases that you use”. Highly repetitive tasks have traditionally been one of the biggest drivers of staff attrition in the contact center. It’s more mentally exhausting to repeat one action than to cycle through several different ones, and agents can find it difficult to maintain focus. Boredom was certainly a part of Sharon’s working life, and it’s hard to imagine how repetition could have been removed from her job. But is that necessarily true of the modern contact center? In actual fact, avoiding repetitive interactions is a key metric for success in some of the best operations; if a particularly simple interaction occurs frequently, that marks it out as a prime candidate for automation by routing to an alternative, non-agent resource. Just as the trend for the switchboard operators moved from pure call routing to services via automation, the recent trend in contact centers is a move from basic services to more skilled, knowledge-based activities. These sophisticated automations not only save money and improve agent experience, but are slowly helping to increase the prestige of front-line call center work. In her 2016 interview, Sharon has sympathy for the modern call center agent who she imagines, “sitting in a cubicle somewhere, saying the same things and taking down the same numbers for eight hours a day.” Although this is certainly still the case for some agents, the image of the call center as a kind of complaints handling factory has been out of date for quite a while. Between the ability of modern service and sales teams to quickly modify their routing practices, and the plethora of resources and channels available, call center work is gradually becoming more engaging and varied at every level. The forces driving this are simple: not just an increased focus on staff welfare and a need to reduce attrition, but a financial case for automating boilerplate queries that is compelling for any business needing to spend less on service without compromising quality. As customer service becomes more and more of a brand differentiator, businesses are increasingly compelled to intelligently route various types of contacts while drawing on every possible data resource they can. Note the word “route” here means not just routing calls to an agent, but to automation and often to another channel. Sharon went on to say, “Automation is great in today’s world, but it’s hard to automate everybody’s wishes and wants.” Hard, yes. But with such an array of technology as is available to modern business, automation is not only possible, but totally inevitable. It is a wonderful advance that no one needs to do Sharon’s switchboard operator job any more. It is equally desirable to remove the burden of all repetitive tasks from people. Then employees can concentrate on those tasks where real communication is required.